For Hamish’s 8th Birthday, I made him a tank cake. This was also relatively simple, the main shapes were carved out of cake and I loved the sparkler effect! The main problem I had was that I ran out of icing (oops 😱) so I had to roll it out very thin which resulted in a lot of breakages. Thankfully, Dad was at hand to offer advice and hot chocolate to calm the nerves. Hamish (and Aonghus!) 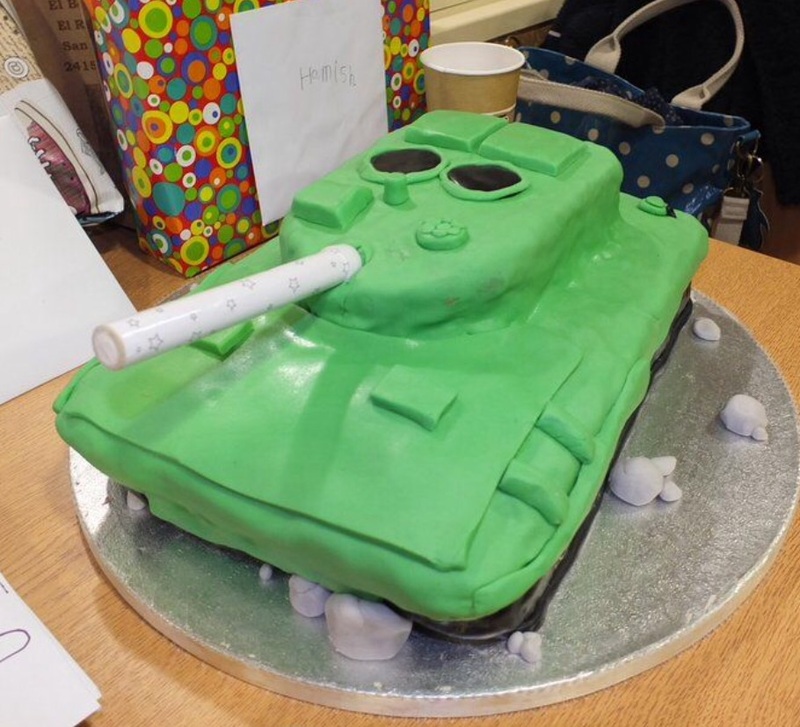 is army mad – apparently a tank was his ‘dream cake’ – so one happy bunny!